A man who tried to throw a coffee table through a window at the Banville Hotel has been banned from all licensed premises in Banbridge. Kieran George McCavana, Hill Street, Gilford, admitted criminal damage to the table when he appeared last Thursday at Banbridge Magistrates Court. The court heard that on June 20 police received a report of someone attempting to throw a table through a glass window at the Banville House Hotel. On route to the hotel they were flagged down by the defendant who admitted it was him and he wanted to go to Maghaberry. Police spoke to the manager who said that the defendant, who was heavily intoxicated, asked for a drink but was refused. Staff ordered him a taxi to get him home and he sat in a chair in the reception area. McCavana then asked for another alcoholic drink and when it was refused he lifted a coffee table and threw it at a window. It bounced off the window and the table was valued at £290. 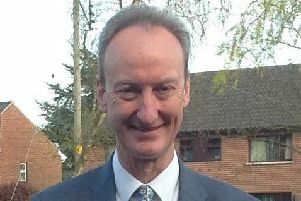 District Judge, Mr Paul Copeland, said that a pre-sentence report indicated the defendant was a repeated offender over a significant period of time. A solicitor representing McCavana said his client had brought £180 to court towards compensation. He added that he defendant was currently working, had moved back into the family home and was abstaining from alcohol. Judge Copeland ordered McCavana to pay £290 compensation and a £15 offender’s levy. He bound him over in the sum of £500 to keep the peace and be of good behaviour for 12 months. A condition of the binding over was that McCavana kept out of all licensed premises in Banbridge including the Banville House Hotel.